Junior has introduced their latest concept ‘Pacifica’ to their bar. 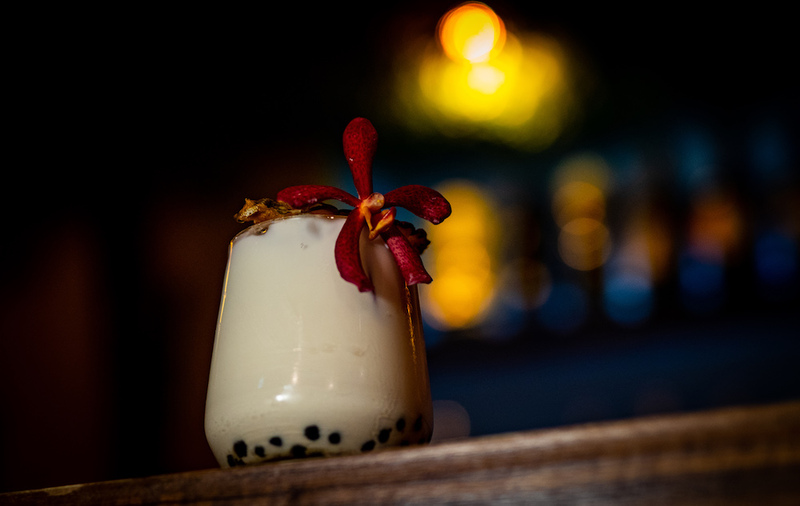 Bringing on a new cocktail menu and decor, inspired by Polynesian culture and Tiki traditions. Sparing no expense, Junior’s has gone all out to ensure patrons enjoy their ‘invitation to escape’. With open-weave rattan panels, hand-carved tiki masks and mustard yellow walls, the decor is only the beginning of this authentic tiki experience. 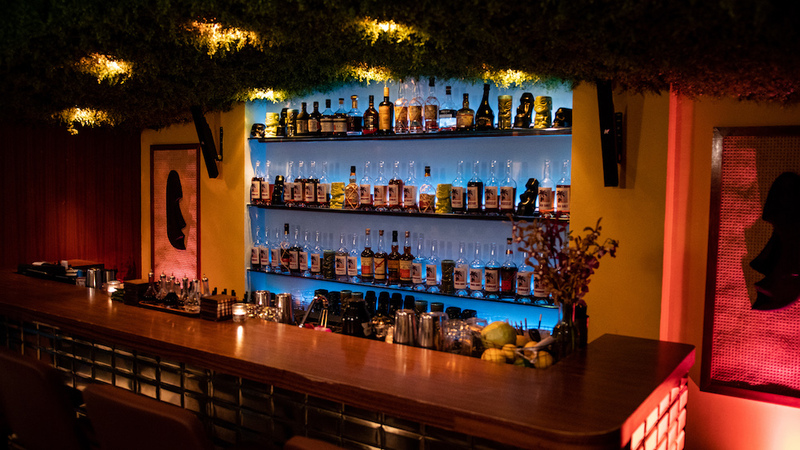 The real highlight of this bar is the drinks menu, which has been divided up into four sections; Legends of Liquid Lore, Apertiki, Traditional Tipples of the Tropics and Progressive Potions of Pacifica. 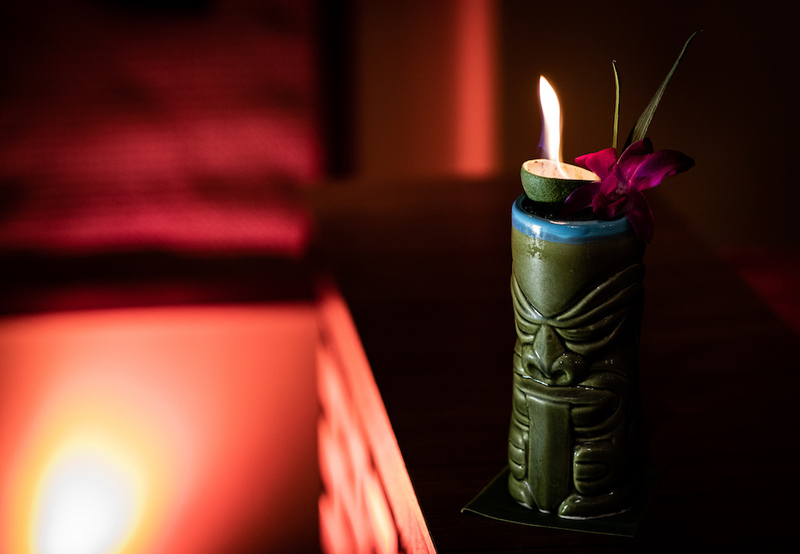 Legends of Liquid Lore is built around six Tiki cocktail essentials. Some include The Zombie and Mai Tai. Accompanying these six iconic cocktails is Juniors own contemporary spin of the cocktail. Apertiki is a menu for those who are looking for a lighter style of cocktail. Each drink has a low ABV, meaning it’ll keep you on a safe & even level. A popular drink on this menu is the Pāhoa. A “tiki-fied” version of the Aperol Spritz. A refreshing, bitter cocktail with Aperol, Champagne, grapefruit and passionfruit for a fruity finish. Traditional Tipples of the Tropics is exactly what it says in the title. It’s selection of authentic Caribbean cocktails. Most of which are popular classics with few lesser known Tiki classics. A highlight from this section is the Painkiller. The rum based cocktail dates as far back to the 1700s. Progressive Potions of Pacifica showcases a selection of five completely original cocktails that combine contemporary elements with modern methods. Grass skirt is one of these playful cocktails. With a base of Peruvian Pisco infused with lime and bunch of other goodies, it’s finished off with spirulina. Giving it a flavour profile of ‘grassiness’.